The Walters Cultural Arts Center (527 E. Main St., Hillsboro) is seeking artists and artisans to feature in their Artisan Pop-up Shop, part of their First Tuesday Art Walk programming. 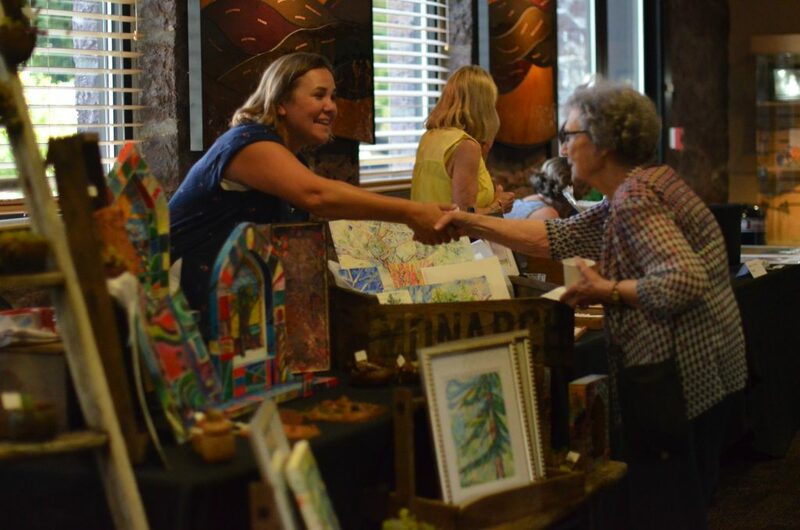 With a rotating schedule of 3-4 artists each month, the pop-up shop provides a space for artists to sell small work, including ceramics, jewelry, found object art, hand-made toys, prints and reproductions, woodworking, glass items, and more. During the December First Tuesday Art Walk, the Walters will host an expanded Pop-up Shop in the Walters Theatre, featuring as many as thirty artists. The First Tuesday Art Walk takes place on the first Tuesday of every month from 5 – 8 p.m., with time allocated before and after for artists to set-up shop. The Walters’ provides the space, table and tablecloth, and promotion. Artists are responsible for all inventory, displays, and their own cash box. All proceeds of sales are kept by the artist. All items must be original works created by the artist. The artist must be the sole and exclusive owner of the works, and may not infringe on any copyright. To submit work for consideration, please send your contact information, website, a brief description of your work, and 3-4 images to katrina.hill@hillsboro-oregon.gov.